If you would like to be notified when the Allen & Heath Xone DB4 becomes available please enter your email address here. 25 Allen & Heath Xone DB4 packages available. DJKIt introduce Allen and Heath’s most advanced product, the Xone DB4, premium and ground-breaking mixer. Retaining the features of the DB4, yet at a more accessible price point. Powering the Allen & Heath Xone DB4 is the cutting edge Quad FX core DSP engine, allowing every channel to have its own BPM detection system and FX bank. The powerful engine therefore automatically synchronises all time-related FX and loops with the tempo of the music. It is simple for you to create some awesome soundscapes with out the worries of low fidelity and latency. The five FX types that the Allen & Heath Xone DB4 introduces are not to be reckoned with– reverbs, delays, modulators, resonators and damage have been designed specifically for Dance music. If that wasn’t enough, each FX has a patch library of effect variations enabling you to create exciting unique mixes. The days of using RCA cables are behind us with the Xone DB4’s inbuilt soundcard. The USB cable allows you to have ultimate hassle free connectivity as you plug in and play, the laptop is hooked up to any of the four channels on the mixer. One of DJkits favourite features of the Allen & Heath Xone DB4 is the changing nature of the EQ knobs. They can function as EQ’s, isolators or filters. To eliminate any confusion, the knobs will even change colour to represent the mode you are in. Xone DB4 can also be used as a MIDI controller to control any software of your choice. With the easy click of the “MIDI Shift” button you will transform the entire mixer into a full on MIDI controller. In order to personalise your mixer, the Xone DB4 has a customizable settings menu that are saveable to the USB drive. This means your personal tastes can be applied to any mixer and it will be set to the way you like it. Last but certainly not least, the Xone BD4 is equipped with a flexible input matrix. Opening your eyes to endless possibilities, any audio source can be selected on any or all of the channels meaning there are no limitations to your mixing abilities. The evolutionary concept plugging a laptop into a mixer and having everything set up for you is what sets the DB4 apart from all other mixers on the market. Considering purchasing the Allen & Heath Xone DB4? Have questions? Ask people who've recently bought one. 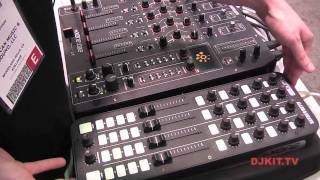 Seen a video for Allen & Heath Xone DB4 online or have you own video? You will earn 3,298 loyalty points with this product worth £8.25, when logged in. 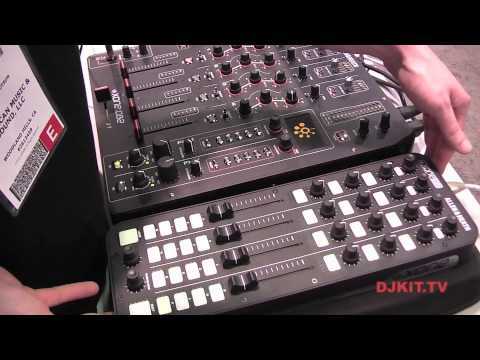 Check out Allen & Heath Xone DB4 on DJkit.com!